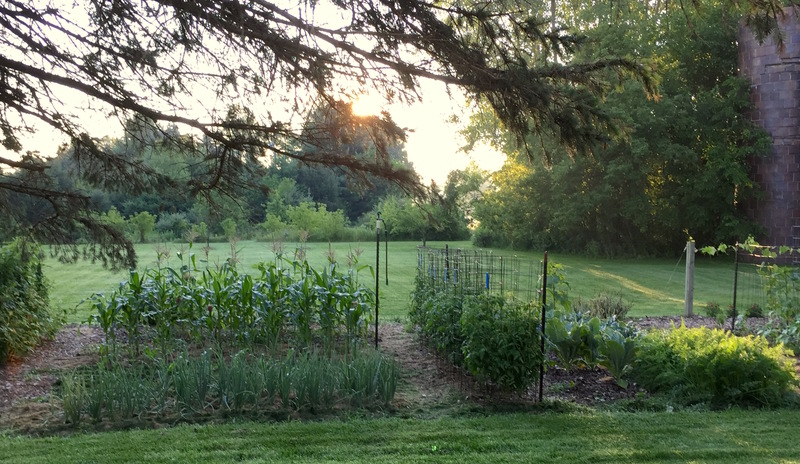 Kind of hard to believe, but it’s already time to start thinking about next year’s garden, at least for me. The main reason for that is a complete reorganization of my bed locations. The plan is to make beds that are uniformly 3′ wide. Until now, I’ve been winging it from year to year with beds of different width, depending on what I was planting. The idea worked ok, but I think that uniform bed width will be beneficial in a couple of ways; cloches and bed protectors will fit on any crop, anywhere in the garden, and the paths and beds will be permanent. 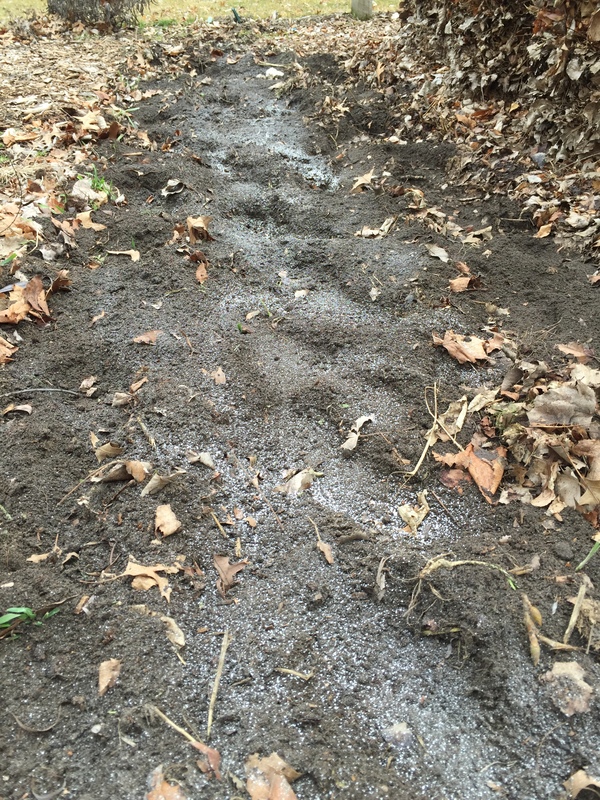 No more walking on next year’s beds, compacting the soil. 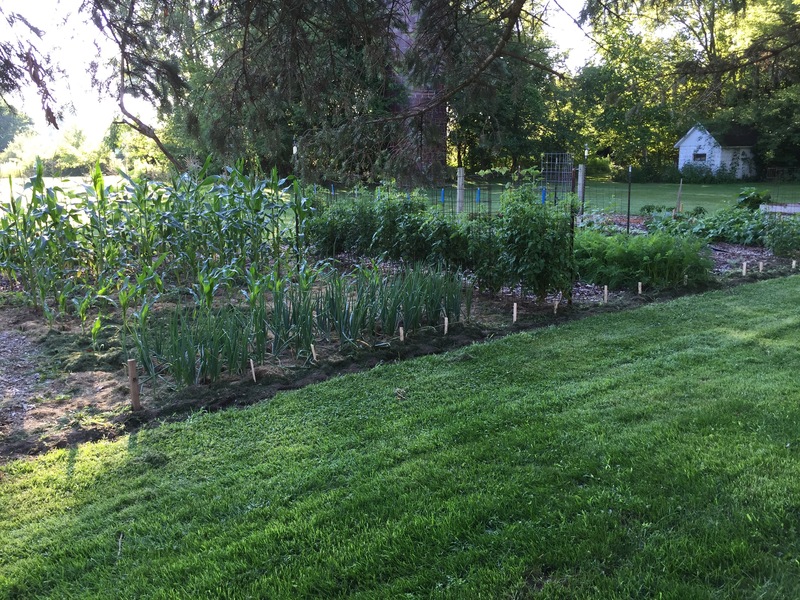 I temporarily marked the future beds with small stakes, so I can tell where to plant cover crops and where to plan for paths. The first major cleanup commenced. I decided we had enough broccoli in the freezer, so even though the plants were still bearing site shoots, I pulled them and let the chickens have at it. I’ll be sowing buckwheat in the empty space, to be cut down as green manure in a month or so, and then followed by a winter cover crop mix. When I think back to the amount of shredded leaves I collected last fall, my mind boggles at how little evidence is left. 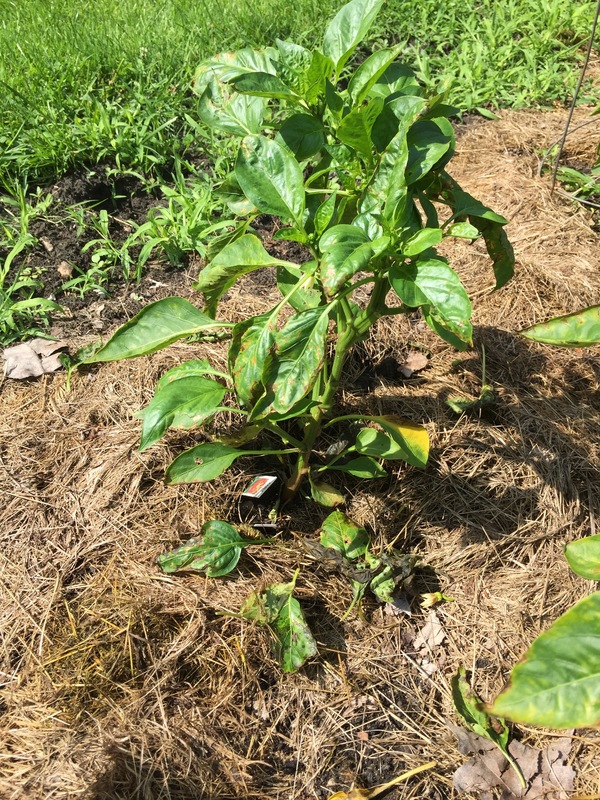 I stored shredded leaves in 12 of my 2 1/2′ diameter tomato cages (about 3′ high in each), filled a 3’x3′ compost bin, another 4’x4′ bin, and layered shredded leaves in sections of the garden. Logic aside, they’ve pretty much returned to the soil except in a few places where I refreshed them with stored leaves in the spring. The theory that you really can’t collect too many leaves still holds. 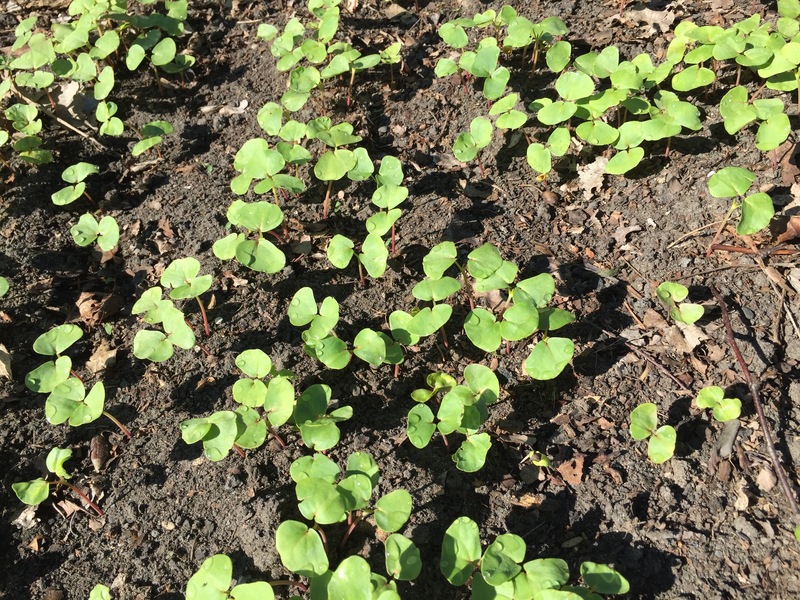 The buckwheat that I planted a couple of days ago as green manure is popping through. 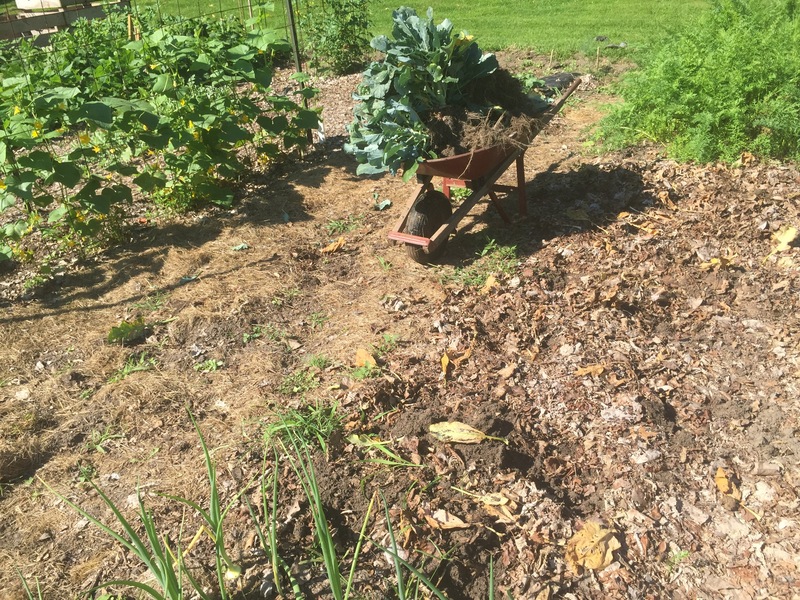 Replacing the organic matter and nutrients taken out of the garden isn’t a one-time deal. 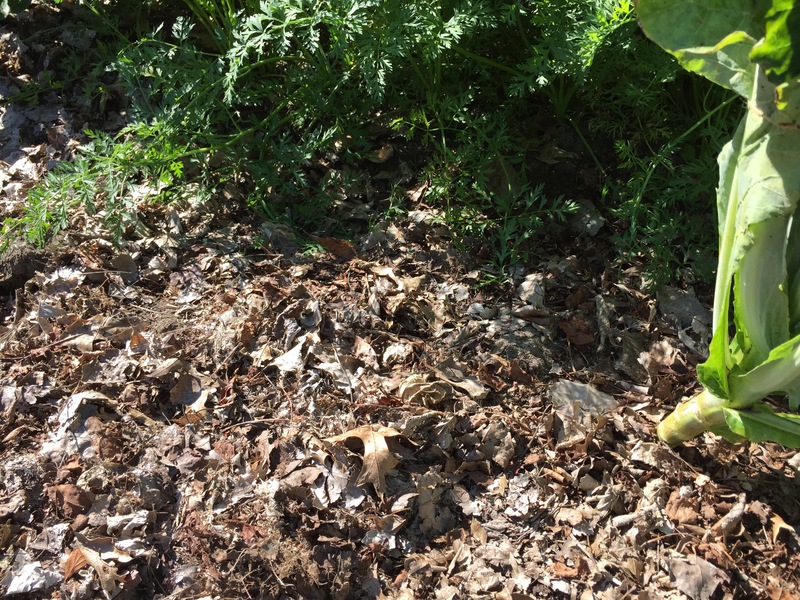 Those veggies above and below ground create massive quantities of leaf material, and it all needs to be replaced. The article’s a little complex to distill in a few sentences, but it makes wonderful sense to me. Considering the garden soil biologically rather than chemically reminds me that life in the garden soil is just as important as life above it. There are chemical compounds involved, but that’s just a one dimension of a many-dimensional, living organism. This time of year things get really satisfying. The hardware jungle begins to cover in green, and the freezer starts to fill. The above-ground portion of my living organism makes me happy that I pay so much attention to the other, less visible part. After 51 days, our water lines have defrosted. A testament to the brutality of this past Michigan February. And instead of thumb-twiddling, I decided to do what could be done. Starting with aspirin. 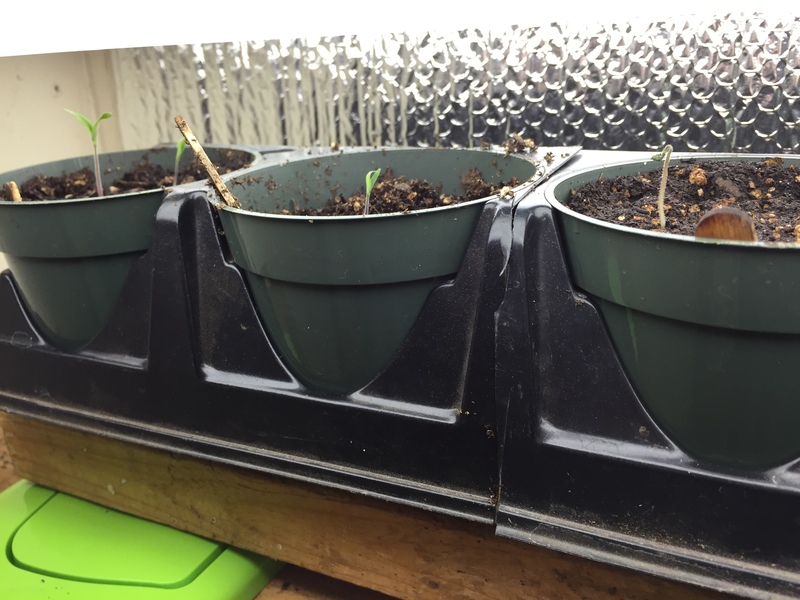 Last year was the first year I tried spraying the tomato plants with an aspirin-in-water solution. Whether it helped or not I’m not certain, but I do know I had far fewer tomato disease problems than ever. So why not? 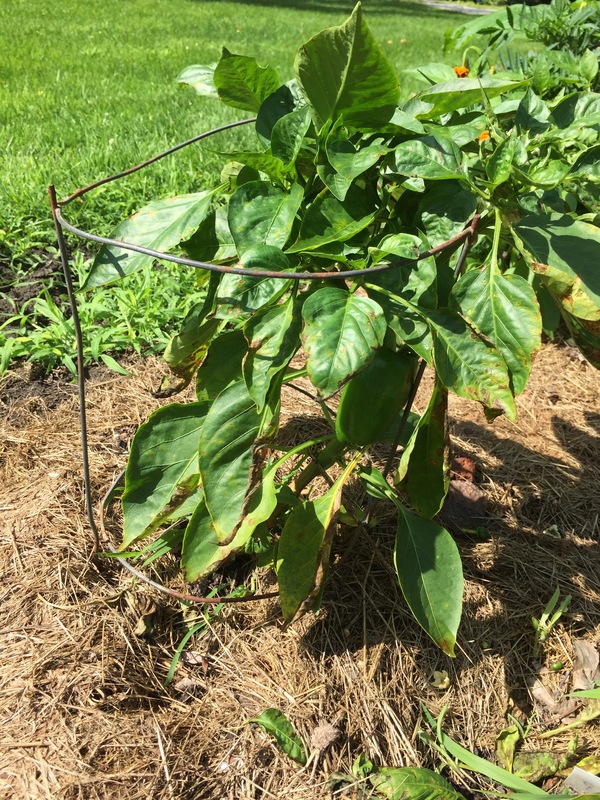 Aspirin sprayed on tomato plant leaves is supposed to poke their immune systems, I guess sort of like smallpox vaccines do for humans. The dosage I use is four 83 mg tablets per gallon of water (or in this case, one tablet in a quart). 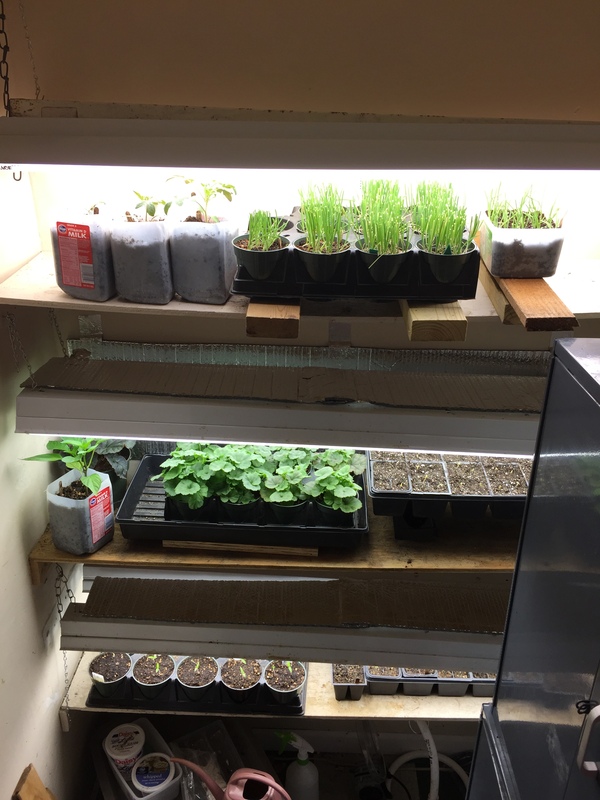 I started spraying a little later on last year, but I wanted to try it on my seedlings. I shouldn’t pretend to recommend this; I’m not a doctor. But I think it’s safe and it worked for me. I crunched the pill with a pestle and dissolved it in a little warm water. After getting rid of tomato headaches, I unburdened myself of the stash of pulverized, dried banana peels that I’ve been hoarding all winter, saving back some for the tomato holes. And since I was outside, I decided to get my two early tomato holes cooking. First, a deep dig to loosen things up. 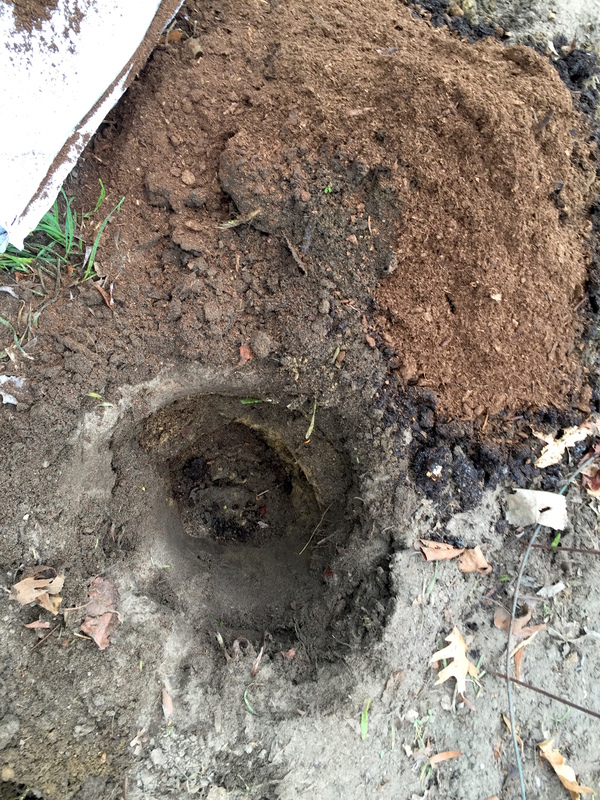 and a shovel full of peat mixed into the soil that I removed from the hole. I’ve not read anything about peat in tomato holes, but it worked well for me last year. Our soil is alkaline, peat is acidic. 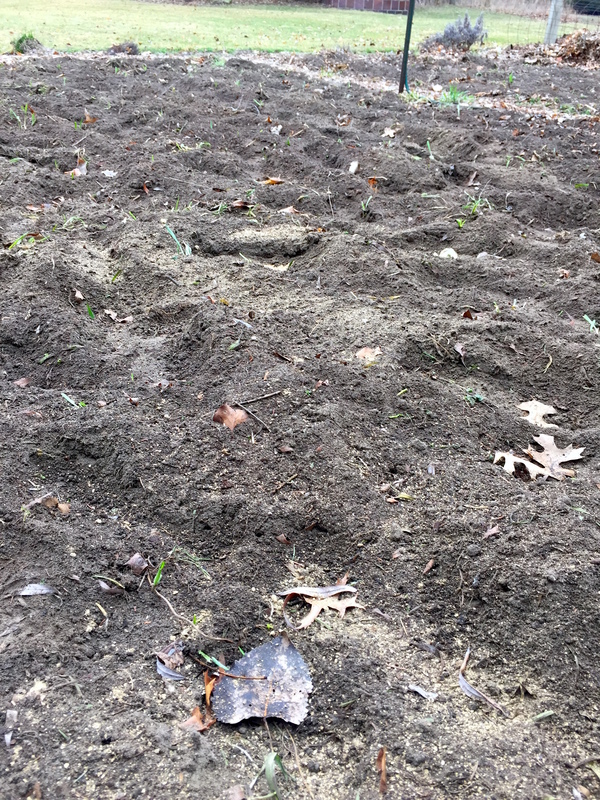 Our soil is sandy, peat soaks up moisture. It seems reasonable to me to get these potions into the planting hole early so they can start doing their things for a bit before the plants go in. I don’t know. It’s sort of scientific, but also kind of voodoo. Science is too exact for my pea brain, so I usually end up just swinging. Something to do when there’s nothing else to do. The eggshells that I collected over the winter and pulverized have just been sitting in a plastic container. 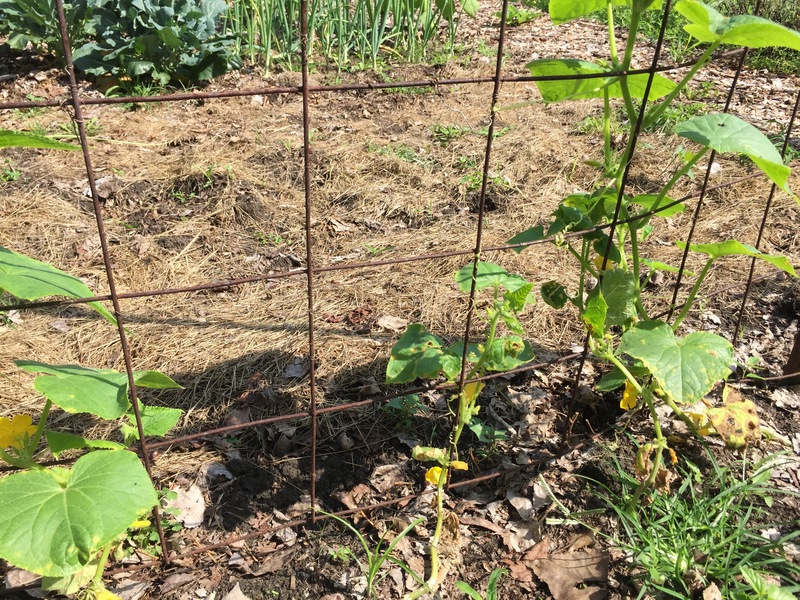 After checking my soil test and noticing the calcium levels in my soil were slightly above what’s needed, I was hesitant to put them into the garden. The next choice was the chickens. But the shells are almost a powder, and that wouldn’t work free-choice. And I wouldn’t have a clue as to how much could safely be mixed with their feed. So I did a little more digging (so to speak), and found some stuff about cole crops benefitting from a small dose of ground eggshells. They’re a slow-release type of amendment, so I decided to give it a shot in my cauliflower and broccoli beds. Just a conservative dusting. I could be wrong. We’ll see. In the future, I won’t grind them to dust, just small enough that they can be offered to the chickens free-choice. 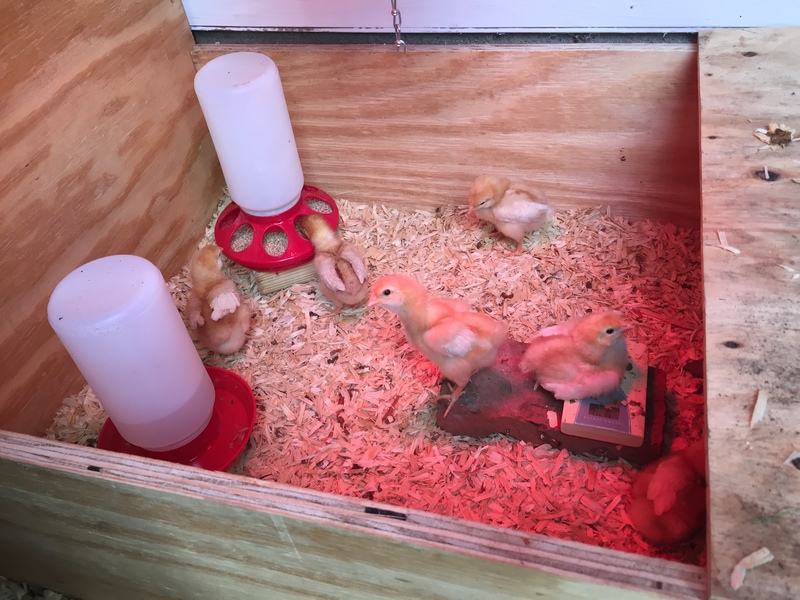 And the peeps are living it up, sprouting their wing feathers. With a couple of tomato seedlings poking their tops through the potting mix, it’s time to start the annual too-early obsession with what to add to their planting holes. 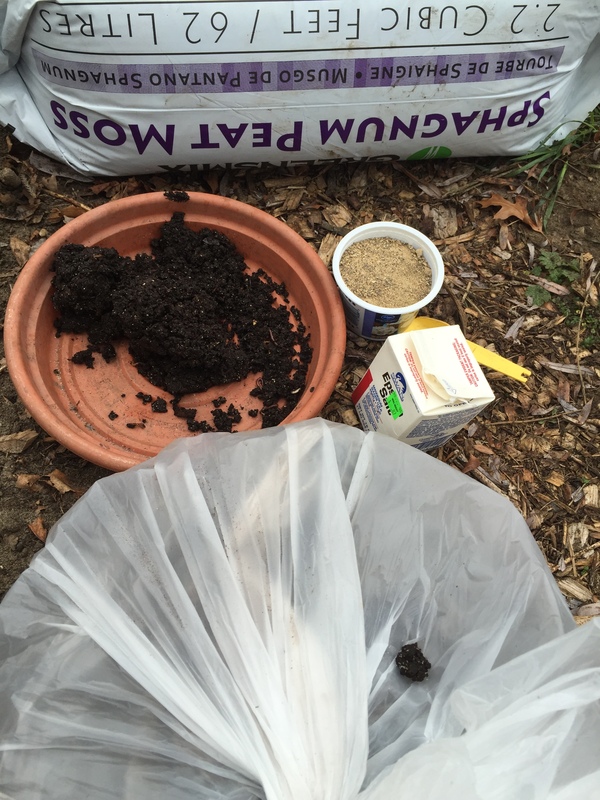 There’s just one item that I don’t even consider leaving out; worm castings. They’re good for everything and harm nothing. The soil test results from last year indicated that I should add 1 lb. of potassium per 1000 sq. ft. of garden. Got it covered. Pulverized, dried banana peels. That little chore that I made sure to do every winter day, drying our banana peels over the register, has yielded very close to the right amount of potassium needed for the garden. And since different plants have different needs, I’ll make sure to add them where they’ll feel wanted. This is disappointing for me. I’ve looked forward to putting some of the powdered eggshells that I saved all winter to my tomato holes to add calcium, which prevents blossom end rot. But in comparing the soil test results to optimal levels of calcium (very good explanation in that link)…my soil was fine. I know. A self-defeating way to look at the world. But I did all that work! I’ll have to find a better use for them. Uh…chickens! Bone meal is primarily calcium and phosphorus, two elements which are usually adequate in non- agricultural soils…Both calcium and phosphorus are required for plant growth, but both (and especially phosphorus) can cause problems if they occur in high concentrations. Interesting. And I won’t be adding bone meal to my garden this year. But I will be adding Epsom Salts, because they tie up excess phosphorus. 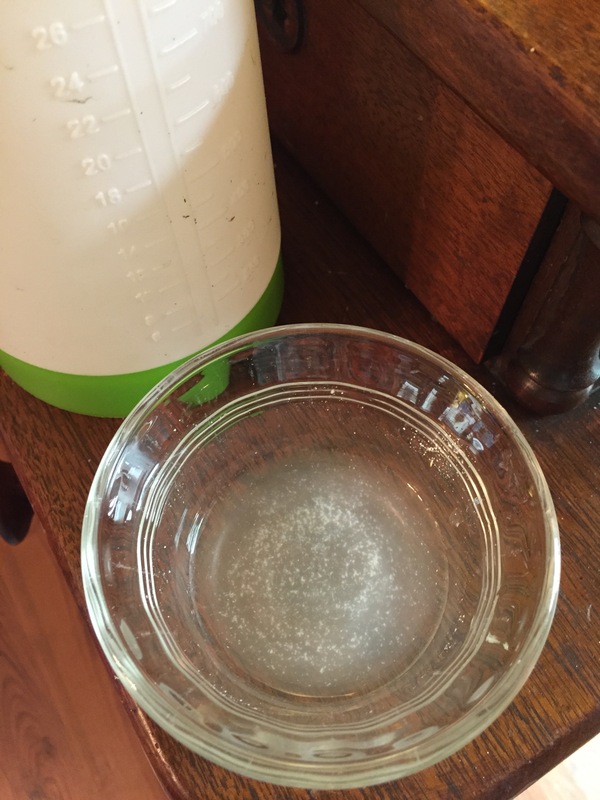 What can you do if you have added too much phosphorus over the years? 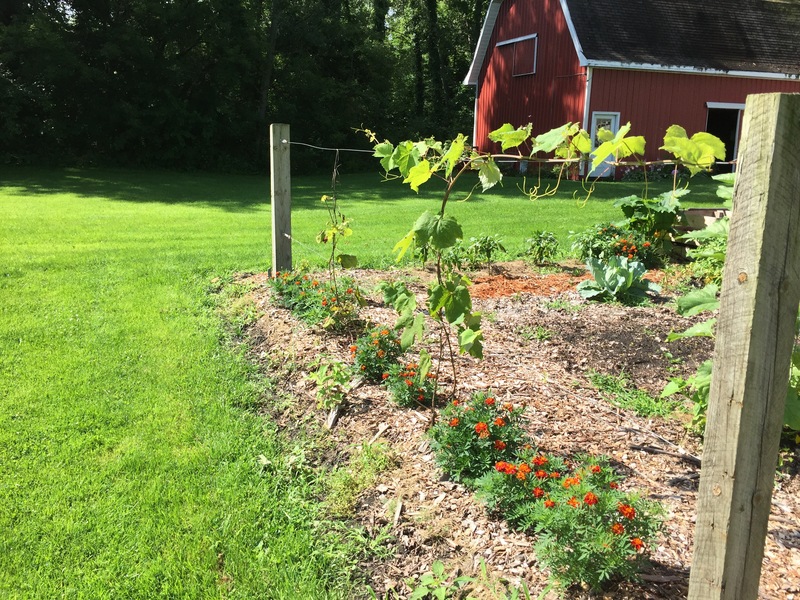 If your soil test indicates that phosphorus levels are high, you may be able to tie up excess phosphorus by adding a mixture of other mineral fertilizers. I’ve not had to do this myself, but various web sites recommend concoctions of ammonium sulfate, magnesium sulfate (Epsom salts), iron sulfate and zinc sulfate. Coffee grounds, in moderation, worked in early so they’re not robbing the plants of nitrogen as they decompose. 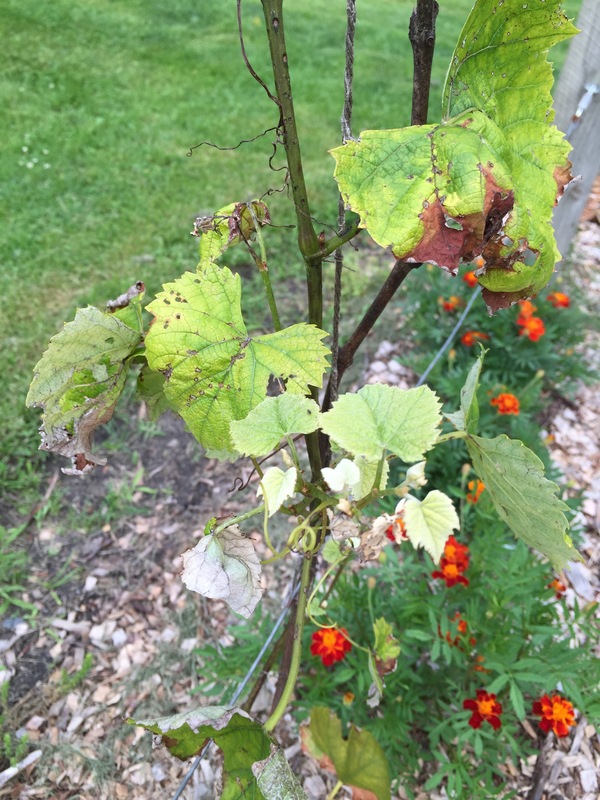 And then as the tomato plants grow, a weekly foliar feed of aerated worm tea, fish emulsion just as the fruits form, and a monthly foliar spray of dissolved aspirin to help ward off disease. It’s a thing. Really. My friend Julie reminded me thatI forgot composted manure. That’ll definitely be happening.